The Look For Me I Will Find You series was conceived on October 24, 2008, in the very cemetery that forms the setting for the opening chapter. In the two years since the first book was written, and the production of the first mass market printing, the question has come up time and time again--how was the premise of this story conceived? The best way to answer that is to describe how I wound up being in that 150-year-old cemetery in the first place, after dark, with a battery operated flashlight that was losing its power. It was not my first late evening visit to that cemetery. In fact, it was the fourth. It all started when I was looking to illustrate a Halloween article I was planning to publish in my newspaper. I wanted to illustrate a Creep Tale, a legend that is sometimes shared around the campfire or when people pass graveyards on old country roads after dark. As the legend goes, a young couple was driving along a winding country road after their wedding. They left the reception perhaps a little tipsy, or maybe they were anxious to get on with the honeymoon, and were not paying attention to the road. The car veered off the highway and smashed into a tree, killing the groom and leaving the bride with the awful task of having to report the tragedy. She walked out into the highway in order to flag someone down. There, as the bride was standing in the middle of the street, still in her wedding dress, the driver of the car that came around the corner only saw her for a split second. He hit her. As it turns out, the motorist was the best man, and he had had a bit too much alcohol himself. His reaction time was slow and he didn’t even apply the brakes before the impact. In a panic, he dragged the bride off the roadway. Thinking he had killed her, he buried her in a shallow grave. The only problem was, she wasn’t quite dead at the time and being buried alive added to the unspeakable horror. 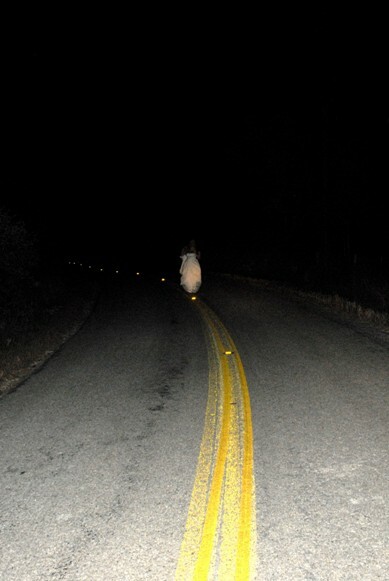 According to the legend, that’s why sometimes late at night, you’ll see a woman in a wedding dress wandering around in the cemetery, grieving for her lost love--desperate to avenge the unspeakable horror. With this story in mind, I paid a visit to the old cemetery with a young woman who was modeling for me at the time. Our first trip out to the cemetery was relatively uneventful, with one exception. I noticed that I was having trouble with my usually reliable camera equipment. In one case, I took a picture of the model with her foot resting on the border of a grave marker. The resulting image had a strange ghostly hue. She took her foot down and the next shot was normal. At another grave, she sat on a very wide base of a headstone, posing next to the actual marker. The photo came out almost black. While I was fiddling with my camera, trying to figure out what was wrong, I heard the young lady apologize to the spirits. The subsequent photo was fine. Normally I would just shrug my shoulders and go on, but this wasn’t our first brush with some odd things during photo shoots. I have a studio about eight or ten miles from that cemetery, which I use for making videos and shooting stills. Some months prior to that, we had noticed that on several occasions, we'd turn off the lights and lock up for the evening, only to look back and notice that a light was still on. I'd go back inside, turn the light off, that I was certain I had turned off before, and lock up again. If this had happened just once, I would not pay a whole lot of attention. But in five years, it has happened enough times to make me consider the idea, that if spirits do exist, they may have the power to affect things in the real world. So when the camera problems happened at the cemetery, and the model apologized to the spirits and the problems vanished, it was enough to make me pay close attention. After that, I had the idea that we should return to the cemetery and make a video documenting the experience about the camera difficulties. Little did I know at the time, that that may have been a very bad idea. Or maybe it was good. I guess it depends upon your perspective. If you don't want to know about the possibility that spirits live beyond the flesh-and-blood life with which we are familiar, then it could have been a blunder. On the other hand, if you are open to the concept that there is life beyond what we readily see around us, then maybe it was a terrific idea. When we returned to that cemetery to make our video, my model started sensing an entity, who she said was pacing "beyond the light" at the edge of the cemetery. I didn't feel or see anything. I'm the reporter. I kept my camera rolling and watched the model go from a perfectly composed actress to a lady totally focused on an entity that she said was grieving for a lost loved one. At first, she said she sensed that the grief was related to either a husband or a child. But then, with a little flashlight in her hand, she began searching the cemetery, zeroing in on a single grave, like a beagle after a bone. She pointed at one marker conclusively and stated over and over, "This is it. This is it." I was clueless. I didn't know what was happening. She tried to read the inscription on the grave and when she couldn't, she asked me if I could read it. There was no way. The marker was so old and so worn that it was just impossible, under those circumstances, to make anything out. But, there was no doubt in the young lady's mind that that grave was the object of interest to the entity that had made contact with her. She described the woman as "not tall," with her hair up in a bun, searching, pacing, and grieving. I'm not sure how long the entity was present--a half hour, or maybe a little longer, but eventually things calmed down and we got back to work making our video. We didn't finish the video production the night the entity was first encountered, so we returned, this time on October 24, 2008, and part way through reciting her lines, the actress once again said she sensed the entity. This time, though, the entity was angry, and my model got into a fight with her. The model told the entity to leave her alone, let her do her work, quit bothering her. She raised her voice to the entity out in the darkness. I thought, "Wow, I can't believe I'm witnessing this." It was the same deal as the previous contact, except that this time, the entity was apparently trying to project a sense of extreme anger. That event went on for an hour or more. All the while, I didn't see anything, despite the model's urging me to turn around, because she said the entity was appearing behind me. Finally, it subsided. As camera people know, when it comes to wrapping a shoot, the photographer likes to pack up his own gear. I'm the same way. I want to put each item in its assigned pocket so that the next time I reach for it, it will be there. I don't want stuff jumbled, so, when people offer to help me pack up, I generally say, "No, let me do it." That's how all my photo shoots end and my model knew that, so when I sat down to pack up all the gear, she took a seat on the ground next to her stuff to wait for me and we talked about that entity. It was then that she looked out across the graveyard and made a statement I'll never forget. "These people aren't dead. People go on, you know." I asked what she meant by that and so she described the concept that grave markers are simply benchmarks in a very long life. I don't think she said it in exactly those words, but that's what she got across to me. Many of us believe in an afterlife, but what about the concept of a beforelife? Is that possible? That is an idea that I had not really seriously considered before, but whether you believe it or not, I thought, it would make a great fictional story. Within a few days after that, I wrote some notes that became the premise of this series. I'm not sure how, but I knew at the time, that there would be two main characters. The man would somehow be saved by the girl and he in turn, would save her. I knew from the very start that the man would be involved in a battle of some kind and that the night before he died, he'd sneak off to visit his lover and that through a bond they formed, they would go on as a couple forever. I knew that these characters would realize that they had known each other for a thousand years, and that upon an awakening in present day, the hero would wonder how long he had been looking for her. The line he used in my scribbled notes, which is not in the book at all, was, "Tell me the name of the century, a thousand years is so wrong." After I wrote those notes, I went over them with my friend and she encouraged me to write the story. I didn't. Instead, I let two years pass. She and I discussed the story and we discussed her belief in the possibility of reincarnation. But for some reason, I was just not ready to write the first book. I had always wanted to write a time-travel story and have been a big fan of any book or movie that allows people to move about in time and space. In fact, as a photographer, freezing moments in time is my business, so having a device, even though it is just fictional, to unfreeze time, is pretty attractive to me. The idea for these books jingled around in my head for a long time. I have always been interested in the paranormal, so as the story jelled in my mind, I saw it as an opportunity to bring into play some elements of the psychic world. I believe certain things exist and they have been scientifically proven, though not generally accepted. Telepathy, for instance, has been demonstrated in the laboratory. Deny it if you wish, but it is real. The problem is, I think, most people don't believe it is possible and therefore they don't give it a chance. That's why, possibly, the studies have shown that the younger the person, the more pronounced the ability to read minds. I had also been intrigued by the notion that it is not uncommon to meet a person for the first time whom you instantly like, and conversely, sometimes you will meet someone you immediately don't like--for no reason. It is often said that that is because you knew them in a previous life. And what about the guardian angel, that little voice that advises you sometimes? Finally, in February, 2011, I sat down and wrote the first book in the series. When I finished, I thought the story was done. Boy, was I wrong. The characters were so alive in my imagination that they kept talking to me, long after the last page was typed. The second book presented itself in June, 2011. By September of that year, there was the third and by the end of the year and just days into 2012, the fourth in the series was complete. The strange thing to me, is just how smoothly the books were interweaved. I'm a big believer in letting your mind do the work; think before you write and then when you do write it is simply a mechanical process of putting down what the mind has creatively invented. I wish it were that simple. But there seems to be more to this than that. I feel like we have one foot in the paranormal in this project. For example, I wrote things in the series that I didn't know, or I don't think I knew. In Missing You, I talk about a full moon that is supposed to appear on December 30, 2039. I just made that up. I did it because I needed a way for the character Wallace to figure out that Megan and Dakota were in his future. It wasn't until after that that I went and looked up in the almanac, purely out of curiosity, whether or not there would be a full moon anywhere close to that date. Well, there will be. I figured I had a one in thirty chance of getting that right as full moons appear on similar days every month, right? Wrong. A full moon appears on December 30 every 20 years! If that wasn't enough, I had used a camera in the story, a "No. 1A Autographic Kodak Special Camera with coupled rangefinder and bakelite side panels," to be exact. When writing the story, I just selected a camera that would be appropriate to the time frame, the 1932 Dust Bowl Era. After the book was printed, within a month, I got an e-mail from a longtime friend, wanting to know if I was interested in some cameras he had picked up in a garage sale. He didn't know anything about my use of a camera in the Look For Me series. Being somewhat of a camera collector, I said, "Yes," without hesitation. So he mailed them to me. In the box, were two old Kodak cameras, get this, No. 3A Autographics. The only slight difference in model number, from the camera I used in the story, struck me as a little stronger than coincidence. And speaking of coincidences, as we began the project, to turn the book series into motion pictures, I set about trying to make a film teaser that could be used in promoting the production. I was searching for props for certain scenes and in particular, the 1871 scene with Darby and Mary. I turned over an antique chaise lounge, and on the bottom was a label that said it was made in Boston on February 24, 1871. I returned to that old cemetery a few times after the 2008 event, just out of curiosity, in an attempt to read that grave marker that garnered so much attention. Even in the daylight, I couldn't make out the name, the date or the inscription below. Then, in August, 2012, I had the idea that I could do a tombstone rubbing. I was passing by, so I stopped, and I used a crayon to rub over a sheet of paper, and to my amazement, the grave belonged to a little girl who was born July 22, 1894 and died September 5, 1899. Her name was Lilly Bartels. While I was there, I noticed that just beside her was a double grave marker, bearing the names of Alex Bartels (May 10, 1893 - June 22, 1895) and Edda Bartels (January 9, 1890 - February 7, 1894), her brother and sister. They also died at very young ages in the same decade--one in a horrible accident. Researching the cemetery, I discovered that on May 5, 2008, an inventory was done of the memorials in that graveyard by some history volunteers. All the graves were listed, except, to my utter amazement, young Lilly Bartels. Near the group of three child graves was the grave of the mother and father, Hermann Bartels and Emma Startz Bartels. When you click to enlarge the photo above, you will notice a three-line inscription at the bottom. 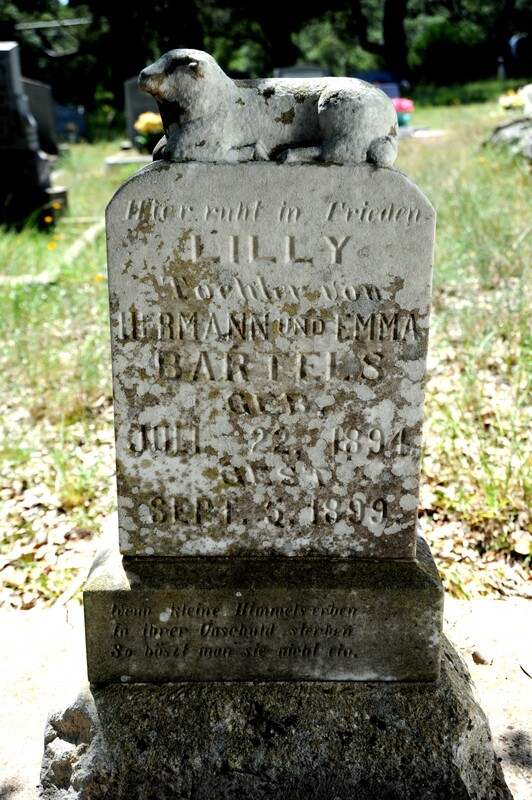 That inscription at the base of Lilly Bartels' tombstone has long been a mystery, and for about a year Doug asked a variety of people to try to translate it from German into English. In the summer of 2013, Doug's daughter discovered that the inscription was taken from a hymn, and that was confirmed by Christopher Roth on Oct. 14, 2013. Doug was visiting Kelsie at Texas A&M, and while they were out on a food run, they passed a military surplus store. Doug convinced the party to turn around to check out the establishment. There, Chris was working, and in conversation, it was revealed that he is of German descent, and, his mother, a German native, might be able to translate the inscription. When Chris contacted her, she recognized the old folk song and Chris provided the text. They are not lost to us. As suspected, little Lilly's parents inscribed the first three lines of the song on the grave marker, in order to honor her memory. The original song, in its entirety, appears below. Rest in peace, Lilly. I also went to the county records and found a marriage certificate for Hermann and Emma, and, a deed to some 474 acres of property, that I believe is very near the area where my studio is located. Incredibly, the studio was rented for two years as a residence between 2009 and 2011 to a family who says that they saw a little girl in their house on a number of occasions! This was told to me, as it turns out, on September 5, 2011, without them knowing what I later found out about the area where Lilly Bartels may have lived. The head of the household told me when he was moving out - that he and the rest of his family heard noises, saw things move, experienced electrical problems and a whole host of anomalies. In fact, he said that his wife didn't want to live there anymore because of these events. The most remarkable thing is that all his kids, his wife and he saw a little girl in their house, not just once, but many times. It should be emphasized that I did not know Lilly Bartels' name or the dates of her birth and death until I did the tombstone rubbing in August, 2012. But it was on her death day in 2011, that I had a strange mental message that told me to call the electric company and see if electricity at the rental property was still in the renter's name. It wasn't. It was switched that day, September 5. I went over to the house right after I called the power company, which was about 10 or so in the evening, and I discovered that the house door had been kicked in, and, that the renter was in the process of moving out. I called the police. An officer responded, and while I was filing a report, the renter showed up. He said he had a strange urge to come back to the house even though he had already quit packing for the evening and had settled in for bed. We talked four or five hours, and that is when he told me, for the first time, about the weird stuff that happened in the house, including seeing the unknown girl. Why was the entity that my model contacted in October 2008 so angry? Could it be that she was upset because in May of 2008 her precious little girl was left off the list of those who were buried there? Is it strangely possible that the little girl seen at the studio and rent property is Lilly Bartels? There is no way to prove a thing like that, or any of this. But I think once you cross the line and accept the idea that we live on after death, and maybe we live again and again, before now and after now, I suppose anything is possible. I have a friend who is 87 years old. She's a beautiful human being with a wonderful mind. She has told me about incidents where her deceased husband has appeared to her at her home, and where her "self" from the future, came and discussed her life with her. Is this lady nuts? Is the model nuts? Not at all. They just happen to sense things the rest of us don't sense. My uncle saw my grandfather shortly after he passed. Such reports are actually pretty common. Most of the religions of the world talk about an afterlife. Quite a few religions talk about reincarnation, and hence, a beforelife. I don't know if either exists. We take things on faith. We believe because we want to believe. Is there proof? Damn little. Are there stories? There is no end to the testimony. People absolutely believe that the spirit goes on after death, that our soul is something that survives the decay of the flesh. Where did souls come from? If God made them, did he make a handful and quit, or does he make them on a regular basis? Does he recycle souls? Do souls get used in flesh bodies over and over? The answers depend upon what you believe. You can argue it either way until hell freezes over. That is, if there is a hell. We have not been able to prove that either, or the existence of heaven. Except for what some people call hell on earth, we take these things on faith. But as humans, are we right? What do we actually know, anyway? What I know is that I saw my young friend appear to make contact with an entity and we have a videotape of that experience. And what I know is that out of that event came a discussion that later caused me to write a series of four books that are wildly popular. What I don't know, is if I am asleep right now and I'm dreaming all this, or, if I'm dead and my future self is back here trying to fix things. I wish I could prove something--anything, that would go toward the mounting body of evidence that there is more to life than what meets the eye. A mixture of supposition and faith and adopted religious doctrine can either cloud or clarify reality. Do we really know much about reality when it comes to the soul? I think I have one. I think other people have them. But I can't prove that. Can anyone prove it? Maybe you had to be there when the premise of this book series was conceived. Except for some failing battery operated lights, it was pitch black in the Startz cemetery when this young lady looked out at all those grave markers in that eerie situation and said, "People go on, you know." There were crickets chirping out their songs. "People go on, you know." I don't know what all this means. But maybe these books are my suggestion as to the answer: Look for me. I will find you. Douglas Kirk explains the origin of the idea, how it evolved, and the process that lead to the books. This audio also provides a brief synopsis. 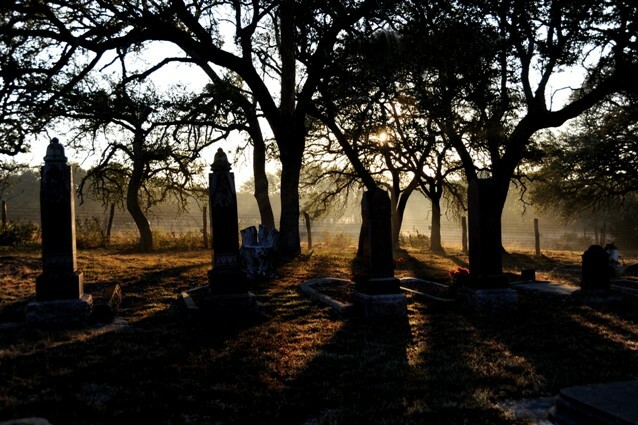 See “Hotfortruth: The Cemetery” and various Audio Blogs on the MEDIA page.